KIS High School comprises grades 9-12. As an American high school, all students graduate from KIS with an internationally recognized High School Diploma. Students in grades 9-10 follow the Middle Years Program, with grades 11-12 students working within the IB framework or towards the KIS diploma. The KIS IB Diploma program, running alongside the High School Diploma program, is optional for grades 11 and 12. Both IB and SAT results at KIS have been outstanding, compared with the world and US means. KIS High School Students are prepared for admission to colleges and universities throughout the world. KIS Diploma is accredited by the Middle States Association of Schools and Colleges, Philadelphia and recognized by the Association of Indian Universities, New Delhi, as equivalent to the Indian “+2” secondary certification. Requirements for receiving the KIS Diploma are defined in terms of credits, which apply to subjects in grades 9 to 12. 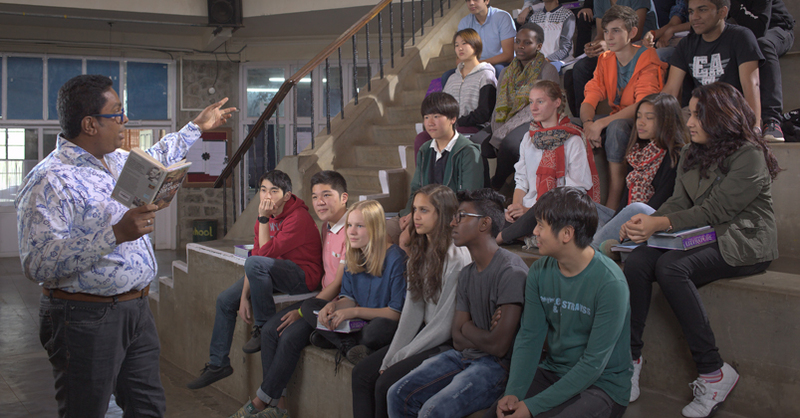 Apart from the core subjects, students are expected to complete courses in Religious Education, Health, Fine and Practical Arts, Computer Education and Community Service requirements to be eligible for the US accredited KIS Diploma. All graduating year 12 students receive the KIS Diploma.